As a leader in sheet metal perimeter edge testing services, National ES Testing Service, Inc. (NESTS, Inc.) has been involved in a wide variety of commercial building projects ranging from malls and shopping centers to high rise buildings to insure that the building is in compliance with building code standards. NESTS, Inc., located in Atlanta, Georgia, can provide your company with tested roof edge products that not only meet the new local codes but also comply with the requirements of the 2003 International Building Code (IBC). NESTS, Inc. will test your copings, fascias and gravel-stops to insure complete building code compliance. The International Building Code’s (IBC’s) 2012 edition contains a provision that low‐slope roof systems’ edge metal flashing (coping, fascias and grave‐stops) must be specifically tested and designed to resist wind loads according to the ANSI/SPRI ES‐1 standard. To comply with IBC’s provision for edge securement for low‐slope roofs, edge metal flashing must be tested and shown to stay in place when subjected to design wind loads. This is a significant departure from what has been standard industry practice where edge metal flashings usually were designed based on established guidelines or dictated by regional practices. For more information on our testing processes, please review our ANSI/SPRI ES-1 Processes page. 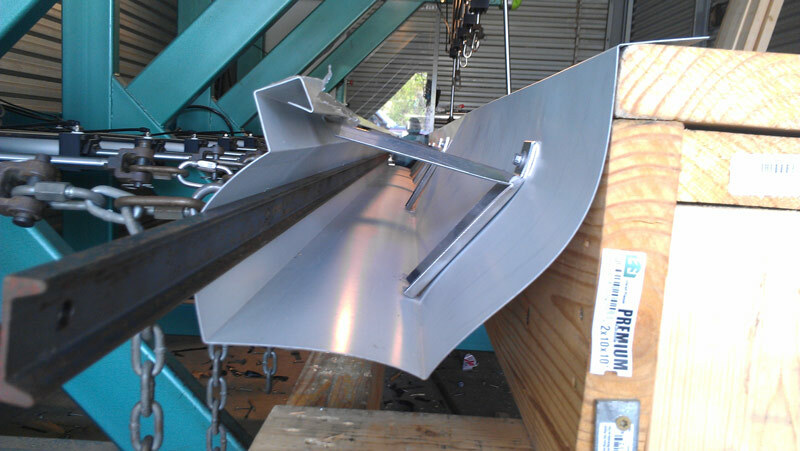 If your require immediate roof edge testing assistance, please call us at (404) 620-3153, or contact us here.